Have you ever wondered how they are able to sell cocktails so cheaply in Bali while liquor prices are through the roof? Or have you ever seen a group of men gathered on the street drinking a mysterious liquid in shot glasses and wondered what it was? The answer to both questions is arak - the traditional Balinese liquor that derives from the palm tree. It has been described as strong, foul, great for a night out but also -- deadly. Is it really though, or is the media getting people all worked up over nothing? Those who know arak by name will likely already know it by its reputation too. 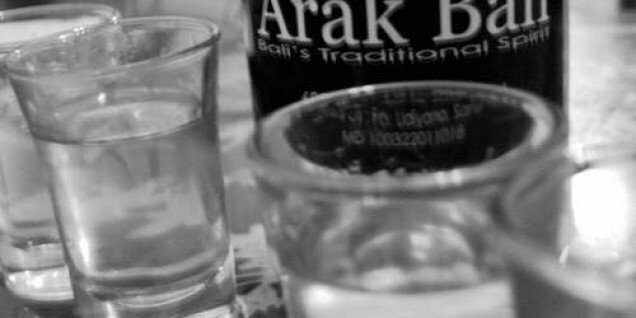 Most of us longer-term Bali residents have had a night or two out involving arak. The stuff is quite awful tasting, but mixes well and does the trick. Better yet at rp 15,000 or about $1.50 per bag (yes bag, 600ml of arak is sold in long plastic bags that have been tied at the top) it can be a pretty inexpensive night out as well. Mention arak around some people though and they will be quick to tell you of all the dangers of arak. You might hear “it will make you go blind” or “it killed a friend of my friend”, among many other stories. To be fair, these aren’t just rumors. A few years back, over 25 people died on Bali from a single batch of arak. The scary part was this was the type that was regulated, taxed and sold in stores, not the traditional kind the Balinese drink. The traditional variety is made mostly on the east side of the island in Karengasem. Some villages even specialize in brewing arak, Bali’s own version of moonshine. Balinese love their arak and drink it often with friends or after ceremonies, with it usually being drank in turns from a shot glass with Coca-Cola already mixed in. Nothing, really, provided you know the person who made the arak knows what they are doing. Arak, just like most other liquors produce other byproducts during the fermentation and distillation process that aren’t healthy and are even lethal for humans to consume. The main culprit in this case? Methanol. Those who have died from drinking arak or have gone blind have all done so due to methanol poisoning. Not to be confused with ethanol (another word for the type of alcohol that gets you drunk), methanol is extremely toxic. Like, just the tiniest little sip is enough to kill you, toxic. Or, just a tiny bit in your arak is enough to kill you, toxic. When arak is made, there is a point in the process when the methanol that has been produced needs to be scraped off and removed. Anyone who knows how to make alcohol will know exactly when this moment is. This is not unique to arak, the same happens in top-shelf vodkas and whiskeys. That’s right, the expensive bottle you bought at Duty Free had a big bunch of methanol scraped off the top of it before it finished distilling and was bottled. No different from the majority of the arak available all around Bali. Outside of buying a methanol testing kit and testing each bag you buy, you can’t. At around $12 per kit (one kit per bag) you’re also spending a lot more on kits than you would be on arak and for your money might as well drink something better anyways. Fortunately, it is actually quite difficult to find dangerous arak, even if you wanted to. Outside of the incident I mentioned above where 25 people died from legitimate, factory produced arak (the owner is now in jail), the only place this bad arak really exists in is small villages. This is the arak that is made in small batches in the village and drank in the same village. These small batches are often brewed by people who are not professionals and don’t know the correct time to remove the methanol which is produced. Every now and then when you pick up a local paper, you can read about groups of Balinese, usually between 2 and 5 people, dying from arak. I don’t like to make assumptions but I think it is pretty safe to say these guys got a bad batch. It is also safe to say that we should be glad these sorts of batches very rarely make it down to the south of the island, especially to the tourist market. If you are buying arak in the south of Bali, and it comes from a little shop or warung, I would almost guarantee it is safe before even looking at it. It might make you do stupid things after too much and give you an awful hangover, but I would bet money you wouldn’t get methanol poisoning. The stuff that is circulated around the island still comes from Karengasem, but is made in a much larger operation by people who know what they are doing. The exception to this rule would be Lombok. Most of the cases of methanol poisoning in the past couple years have been coming from Lombok, not Bali. Without getting into a huge religious debate, it needs to be noted that the people of Lombok are quite serious Muslims. Drinking and making alcohol is not ingrained in their culture as it is with the Balinese. Inexperience is what leads to methanol making it through to final steps of making arak, and there is just not as much experience with the arak brewers in Lombok. What about the bars that spike customer’s drinks with methanol? I’m going to say something controversial, but hear me out until the end. Drink spiking cocktails with methanol doesn’t happen. That will probably be hard to hear for anyone who has ever lost a friend or a loved one due to the arak they were served at the bar. The Australian media and newspapers are constantly reporting stories of “Drink spiking” in Bali and people dying from a “methanol spiked cocktail” as if the bartenders themselves were responsible for adding in methanol to their customer’s drinks. I’ll say it again. That doesn’t happen. Now don’t get me wrong, the people that died or went blind did so from methanol poisoning. Yes, their drinks had methanol in them but it was in there since before it arrived at the bar. It wasn’t added afterwards by bartenders or bar owners trying to make their stock last longer while still getting their customers drunk. Some of you may disagree with me and say that I’m only talking in semantics. You might say that it doesn’t matter whether the methanol was already in the arak or added after the fact, the only thing that matters is that people are dead. But, the media and the people trying to do something about the arak fiasco are going about it in the wrong way. Some organizations have started boycotting and protesting restaurants and bars (mostly on the Gili islands) which have served their customers lethal cocktails. The problem is, that doesn’t do anything to solve the root of the problem. In fact, it can even make it worse. 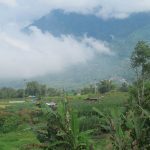 An understanding of Indonesian mind states and business tactics has proven that accusing the locals or an establishment of something makes them immediately go on the defensive. Boycotting their restaurant or bar doesn’t help the cause. It might stop a few people from going there, but thousands of visitors passing through still will. Worse, it makes the businesses averse to hearing suggestions from those parties who want to solve the problem. So what is the solution for arak? Most of us at this point have given up on the Australian media when it comes to issues regarding Bali. I do have a suggestion for the organizations that are currently boycotting establishments though. Work with them, not against them to solve the problem. I know this can be difficult for these people to even think of as they may have a loved one who died as a result of drinking at that particular bar. But, I am confident these incidents were not from spiking, but from a bad batch of arak making it into the bar. Bar owners aren’t trying to increase profits by adding methanol (they do that with water), and I would bet money that after every death that has ever occurred, the bar owner was furious. He came in, yelled at his staff, threw out all his current stock of arak and told them never to let it happen again. They don’t know how to keep it from happening again though. They get the arak in, pay for the bulk shipment and use it to start mixing drinks. The solution can start with the bars, and eventually work its way back to the suppliers. Remember the methanol test kits that I mentioned earlier? The ones that costs $12 per kit and are too expensive to test each bag? They suddenly aren’t too expensive when they are testing large batches of over 10 liters at a time. I urge anyone who is on a mission to stamp out bad arak to stop boycotting and start educating. These organizations have quite large followings and could get many people behind them to help. Start by purchasing some methanol testing kits and handing them out at the bars in tourist areas that have a history for bad arak. Show them how to test for methanol. Leave behind several spare kits for them to use. Follow up after a week or so. Talk with the locals in charge of the area about starting a "Methanol-free Program", where each bar can become certified and proudly display that fact to the public. The point is to teach them what about arak can be dangerous and how to detect it. It might take a little while to catch on, but Rome wasn’t built in a day either. Once it becomes more standard, the bars will start wanting refunds from their suppliers on batches that test positive for methanol. Once the suppliers get too many returns, they will look at their process and improve it. They will probably do it only to increase profits (reduce loss is more accurate) but the benefit is there will be less tainted arak out there, until there is almost none at all. In closing, I really want to say that I am in no way trying to minimize the deaths or health complications of anyone who has been affected by drinking arak. I am also not trying to fault any of the organizations taking a stand against arak to avenge the deaths of their loved ones. I just believe there is a better way to go about making the situation better and safer. Nobody needs to die in Indonesia from drinking bad alcohol. Even one death is far too many, especially when it can be prevented. But please, if you are out there boycotting bars for serving drinks, take a step back and think about the solution. 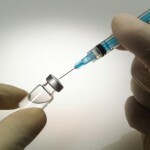 You can educate people on the dangers and cautionary measures they can take to save lives. You have power in your numbers and a strong message. No one wants to cooperate with someone who’s boycotting them though. I agree with you in basicly all of the elementet, though one thing is (potentially) missing. I agree that spiking with Methanol simply doesnt happen. That would be murder in first degree. And accusing a bar of killing its own customers, seem somewhat silly. But what can (potentially) happen is Vodka and other Arak similar alcohols, getting replaced with Arak without the customer knowing, because its cheaper, and its near impossible to notice. With that in mind i still feel that people in the outskirts like Gili should still think about where and what they buy, but not in the way of "boycotting" bars etc. Just drink and act responsible. Your idea of a possible solution.. I totally agree, and that would also eliminate the above possible scenario. That is a great point and thank you for making it. Yes, the drinks that are often labeled in the menus as being vodka or something else or often made with arak as a substitute to keep costs down. This means that even people trying to avoid arak might still end up getting some. This is even more reason for bars that serve arak to be testing the arak as they receive it and before serving it. Bars will probably always substitute cheaper ingredients but as long as the ingredients they are using to substitute with are safe, the issue is minimized. Indonesia could eliminate this whole problem by eliminating the black market for alcohol. How? Stop taxing alcohol so severely. The tax is disproportional to income levels in Indonesia. In Vietnam you can buy a (cheap low quality "rice vodka" )bottle of factory made and regulated alcohol for about $2. Then again cheaper alcohol might cause a bunch of other problems which could take lives too (alcohol poisoning, drunk driving). A smart, measured piece. Have had 1st hand experience of someone dying from Arak poisoning in Lombok and think you're right that while attention should be drawn to places that are serving (perhaps unaware of doing so), it also needs people to raise awareness of the issue with the people who are serving the drink. I have drink arak many times and get drunk of it, nothing happen to me other than feel high in the paradise. Sometime people died drinking milk. Don't afraid to be dead that is only a passage.